Based in Hereford, Broadfix are the UK’s leading manufacturer of plastic shims for construction. Twelve months ago Broadfix were facing rising manufacturing costs, high inventory, and five pages of back orders. It seemed that the only way out of the problem was to invest in more injection moulding machines and perhaps larger premises. The Senior Managers of Broadfix, Richard Jenner and Clive Haughton, did not know what to expect when they attended a free “Lean for Small and Medium Enterprise” workshop presented by TXM in 2017. However they were inspired by this event and saw a possible pathway out of the business challenges they faced. They therefore asked TXM UK Senior Consultant Lee Candy to visit their site and conduct an initial review. Lee saw huge potential in the Broadfix operation and the resulting Lean deployment has delivered some spectacular results. In fact, Broadfix’s investment in TXM services was fully paid back in six weeks through reductions in agency labour. On top of that Broadfix have seen a 25% reduction in inventory and their backorders have fallen by 80%. As well, the business is easily keeping up with demand with their existing injection moulding machines due to lower downtime and faster changeovers and has created space in the factory to keep growing. 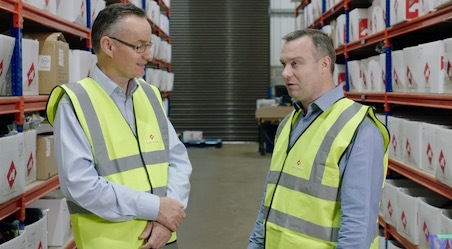 Learn what Richard Jenner has to say about the experience of working with TXM in this, our first Lean Case Study Video to be shot in the UK.